Unlike preventive dental treatments intended to protect teeth from damage and decay, restorative dental treatments are performed to “restore” form and function to teeth that have been compromised in some way. The best treatment for your teeth will depend on their condition and the options you want for your smile. 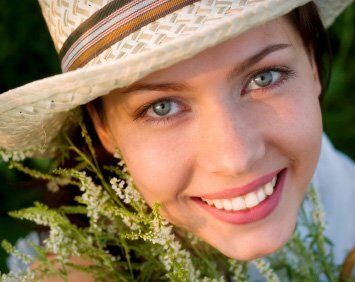 When natural teeth are decayed, damaged, or lost, restorative dentistry can fix, repair, or replace them. At Prestige Dentistry in Palm Harbor and Trinity, FL, we believe restorative dentistry has a cosmetic component in that it includes aesthetic enhancement. Correcting missing, damaged, stained, discolored, worn or broken teeth requires advanced training, dentistry techniques, and technology. Luckily, the dentists at Prestige Dentistry have years of training and experience in helping patients transform their smiles for the better. Losing a tooth by accident or by extraction is not the end of the matter. When a tooth is gone, the resulting gap allows surrounding teeth to tilt or drift from their normal position, and the teeth across from the gap will move downward or upward. Aside from the obvious cosmetic problem, the changed positions of these teeth can lead to severe bite problems causing jaw pain and headaches. Tooth loss also can lead to shortening of the face. Missing teeth should be replaced to keep other teeth in their normal position. This can be done by means of a fixed dental bridge or a dental implant. Both of these treatments offer a good functional and cosmetic result. For those who have one or more missing teeth, a dental bridge can literally “bridge the gap” with a false tooth or teeth between the teeth that remain. A dental bridge can be secured by tooth crowns on each end or by dental implants. 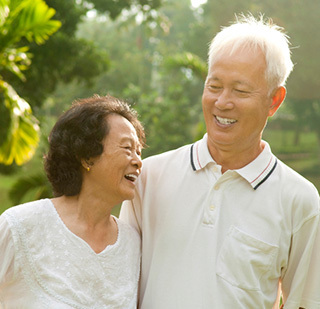 Dental implants, which provide the anchor to permanently replace missing teeth, can preserve bone mass and facial structure, and significantly improve your ability to eat what you want with comfort and confidence. Dental implants are the restorative dentistry option of choice when replacing a single tooth, because you don’t have to file down and crown two extra teeth to place a dental bridge. Not long ago, dentists used silver and mercury amalgam to fill cavities. Silver fillings do not bond to a tooth, so a chamber must be cut into the tooth which is larger than the exterior. This keeps the filling in the tooth. Because a larger amount of the original tooth must be removed, these types of fillings often weaken teeth and can cause cracks over time. Recent innovations now allow Drs. Pielak, Horwitz and Beil, Prestige dentists in Palm Harbor and Trinity, FL, to replace old silver fillings with composite or porcelain fillings that are stronger, safer and more natural looking. These materials actually do bond to tooth and provide more protection from fracturing. Materials are layered into the tooth and hardened with an intense light. The final surface is shaped and polished to match the tooth, making it virtually invisible to the naked eye, giving you a beautiful new smile. Metal-free fillings are more natural looking, compatible with living tissue and reduce risk of allergic reaction to metals. 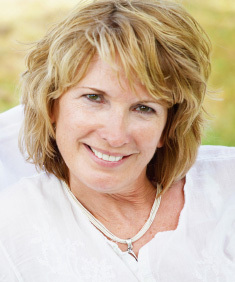 There are primarily two different types of dentures. Bonding is used to repair chipped, broken or discolored teeth, fill in gaps between teeth or protect the roots of teeth exposed by receding gums. 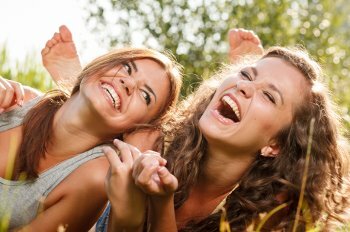 Bonding is virtually painless, and can usually be completed in one visit, although complex cases may require several appointments. These are restorations, similar to tooth crowns, yet they need less preparation of the tooth’s surface. They are more conservative than placing full tooth crowns and can be made in gold or precious metal or can be porcelain or composite, which looks similar to natural teeth. 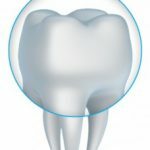 When too much of a tooth is removed to support a filling, a dental crown may be used to restore the tooth’s natural shape and size and to strengthen it. All-ceramic tooth crowns contain no metal, giving them natural appearance. At Prestige Dentistry in Trinity and Palm Harbor, our computer-assisted design ensures a precise fit, and the quality materials used, result in outstanding strength and durability. A full-mouth restoration is an intensive process which may combine restorative, reconstructive, endodontic and periodontic treatments to give you a healthy, functional, beautiful smile. Good candidates for full-mouth restorations are those whose jaws don’t close properly or whose teeth don’t touch correctly, those who have many damaged or worn teeth, those who grind their teeth, or those who have had teeth lost or damaged due to illness, injury or other circumstances. Many of those who undergo full-mouth restoration actually save money because we create a total plan which combines treatments whenever possible to give patients the best-possible outcomes and value. To learn more about the restorative dentistry options available at Prestige Dentistry, including tooth crowns, dentures and dental bridges, and which can be used in your situation, contact our Trinity or Palm Harbor office today. Give us a call or fill out the form on this page. We can set up a consultation to Talk to Drs. Beil, Pielak or Horwitz about restoring your most beautiful smile.